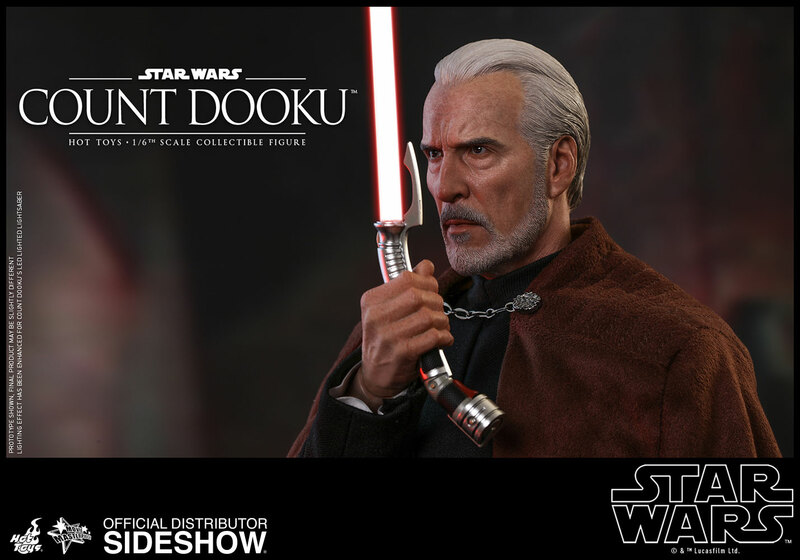 As a menacing Sith Lord and a central figure in the Clone Wars, Count Dooku became disillusioned with the Jedi Order and thirsted for greater power. 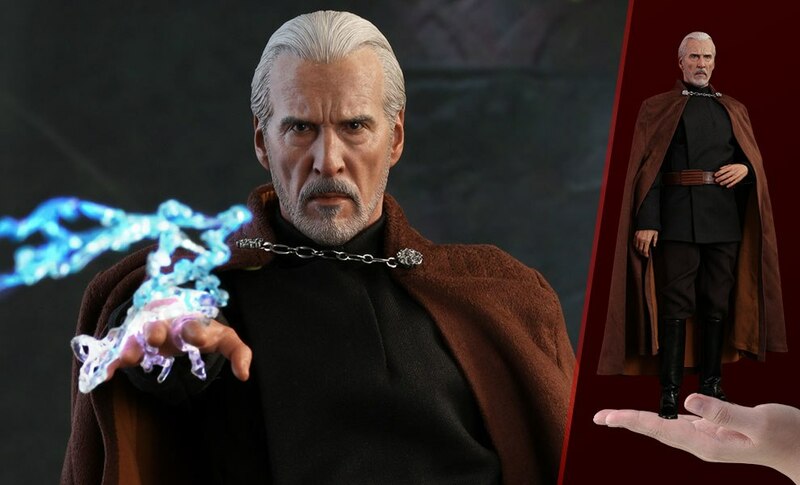 He voluntarily left the light side behind and became Darth Sidious’ dark side disciple, taking the secret name Darth Tyranus and leading the Separatist army. 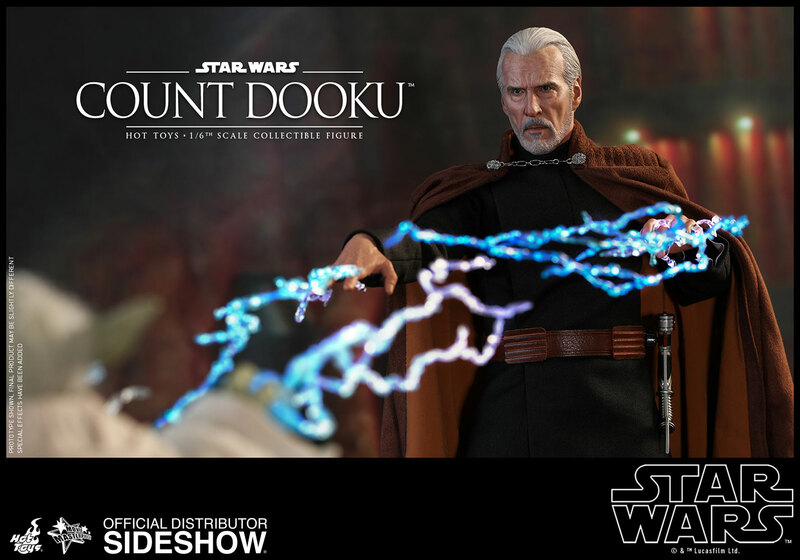 Dooku advanced Sidious’s secret plot to take over the galaxy but forgot that betrayal is the nature of the Sith. 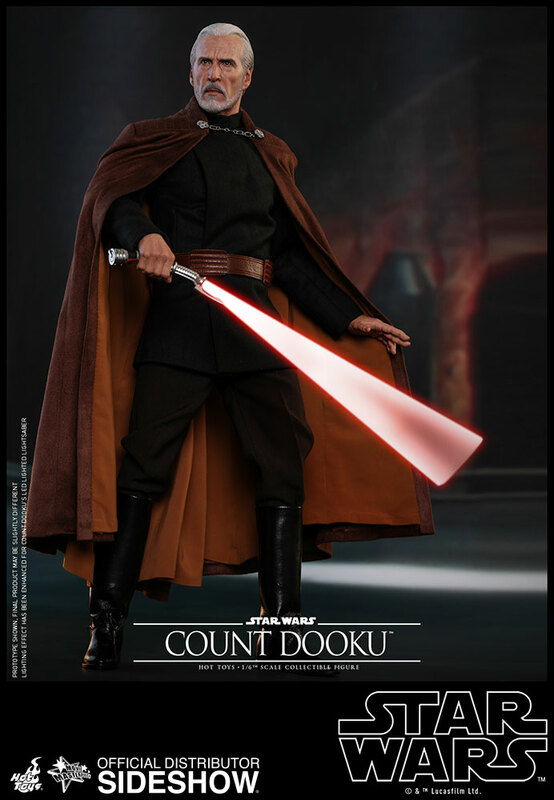 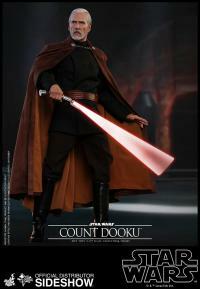 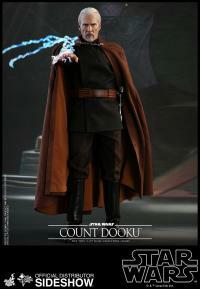 Masterfully crafted based on the appearance of Count Dooku in the movie, the Sixth Scale Star Wars Collectible Figure features a newly developed head sculpt with striking likeness, a meticulously tailored costume with Dooku’s beautifully designed cape, a LED light-up lightsaber, a number of interchangeable hands. 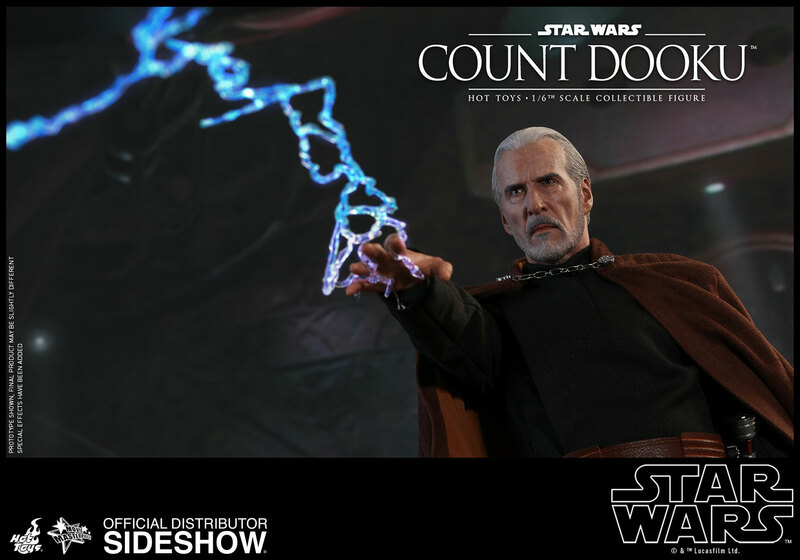 The figure also includes a pair of Force Lighting effect parts that are attachable to hands, a hologram projector and several hologram figures including Death Star, Jango Fett, B1 Battle Droid and Darth Sidious. 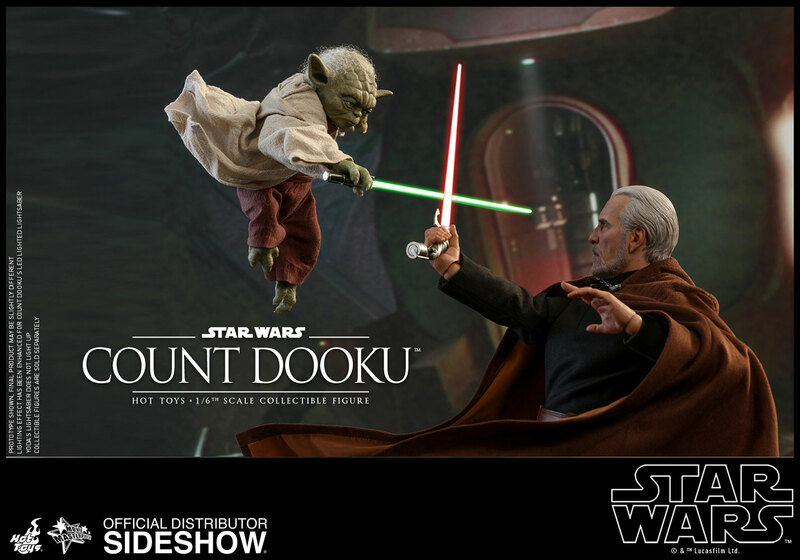 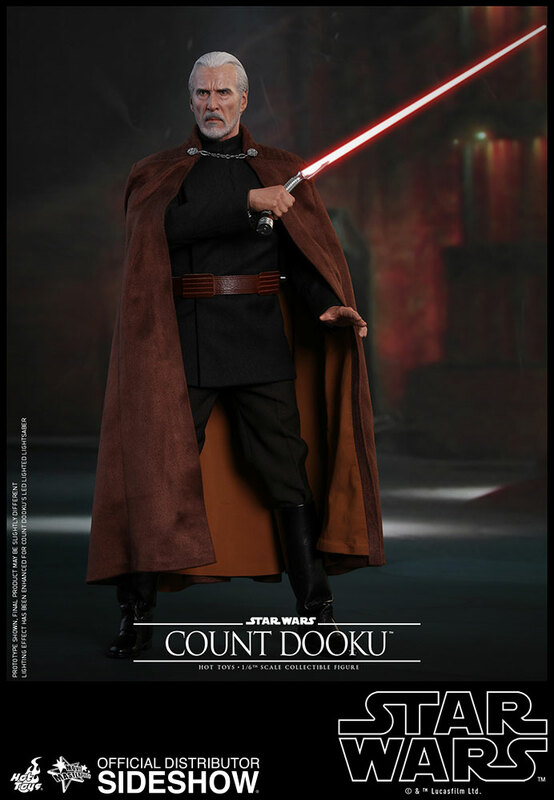 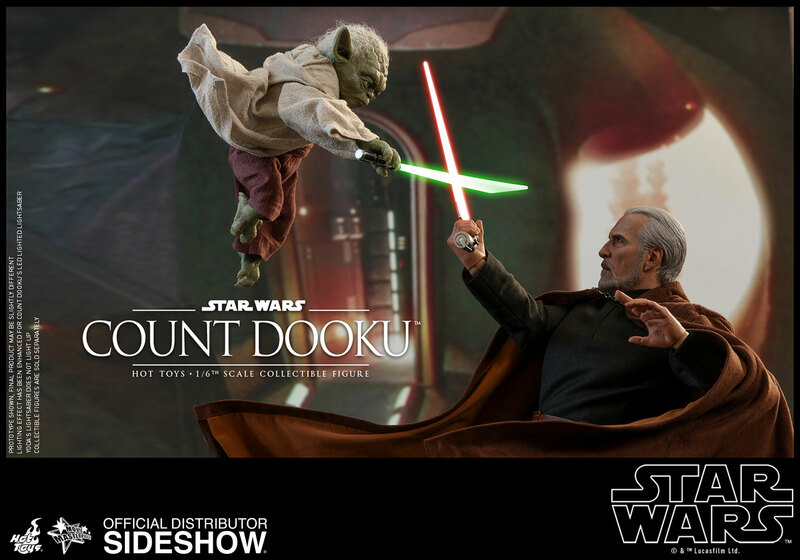 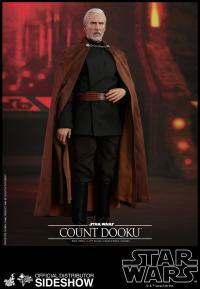 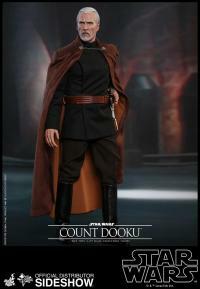 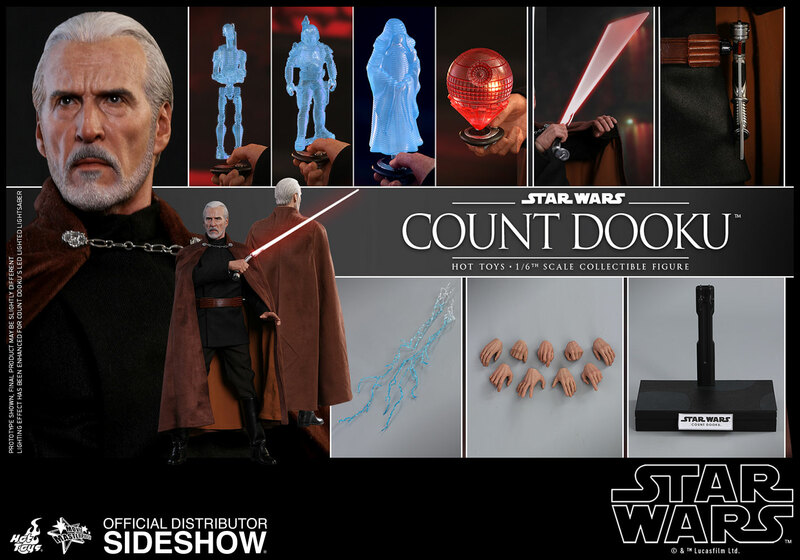 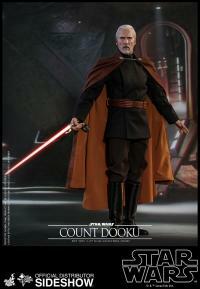 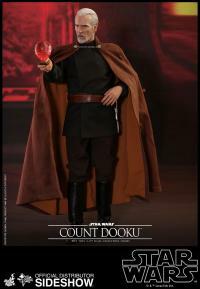 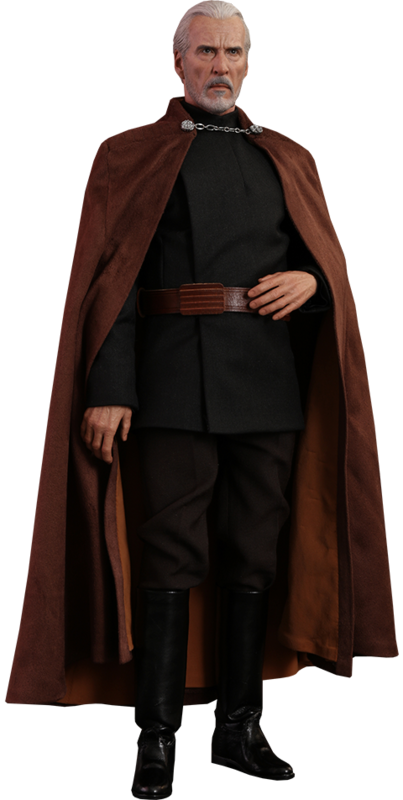 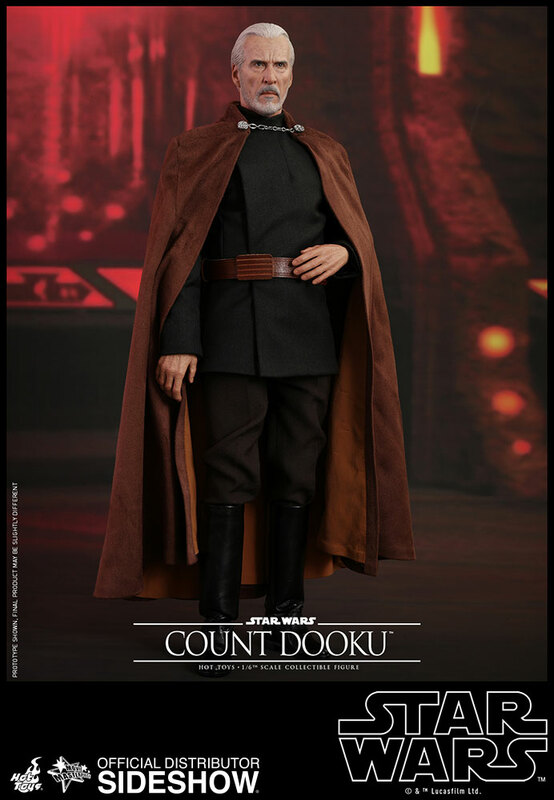 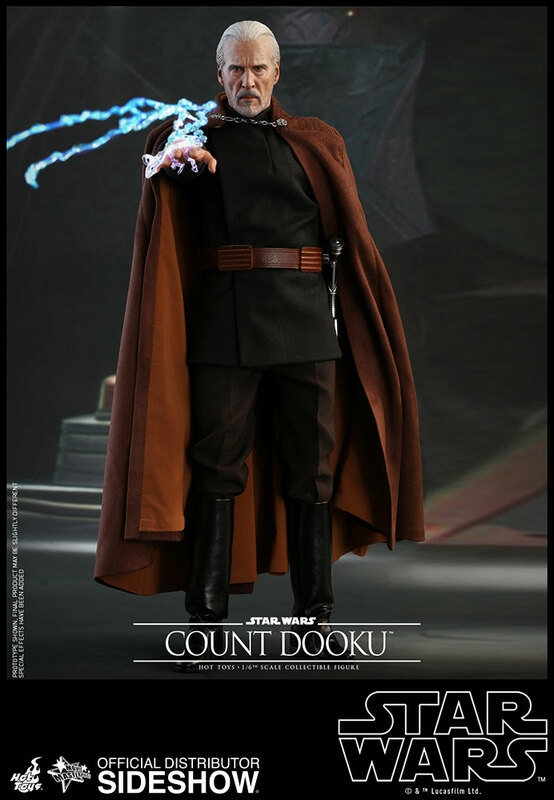 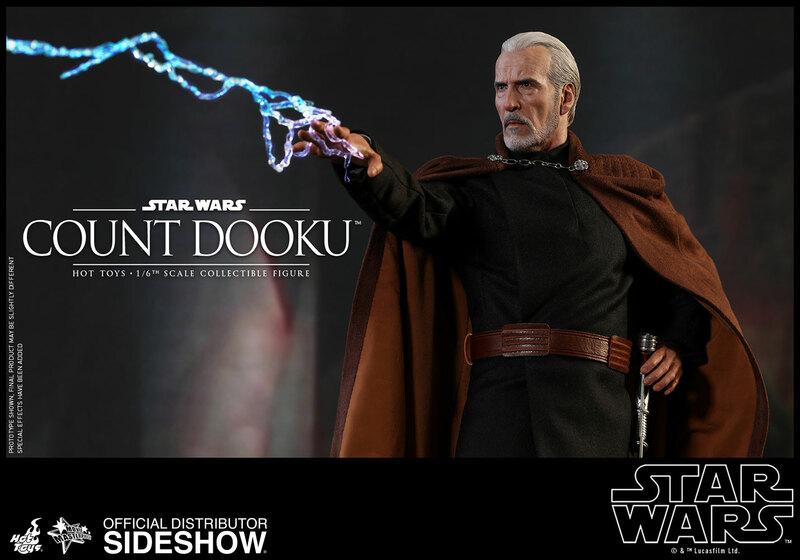 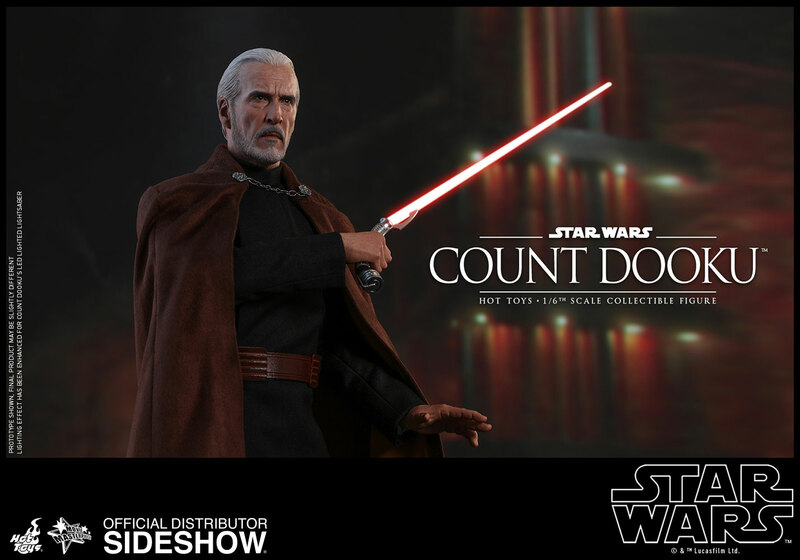 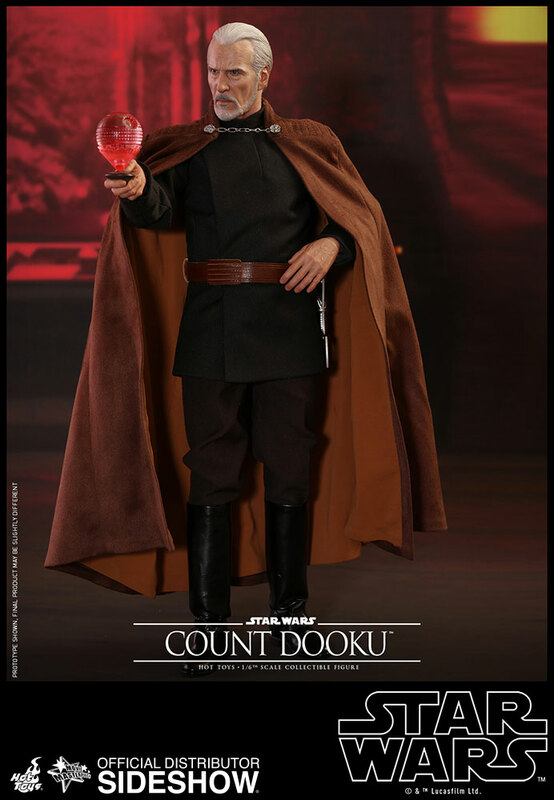 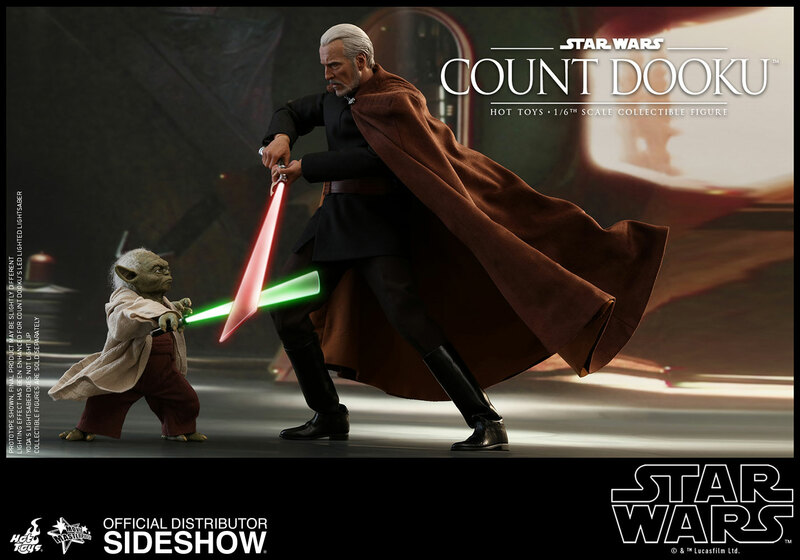 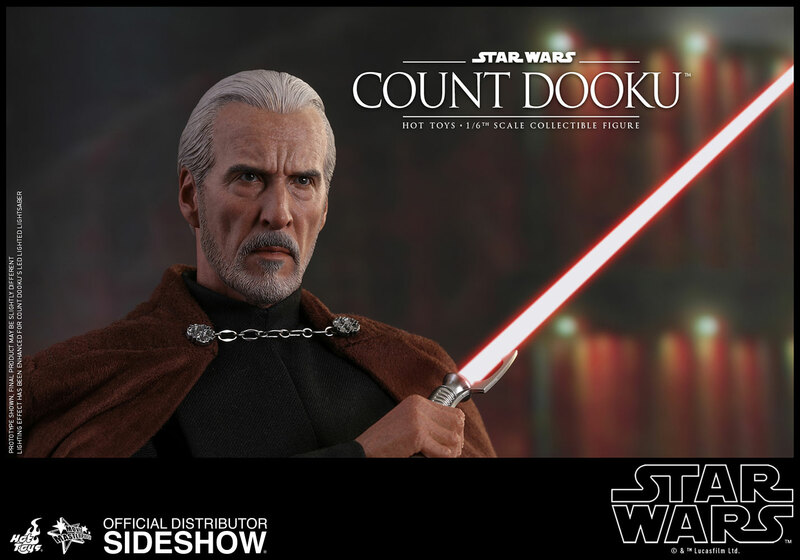 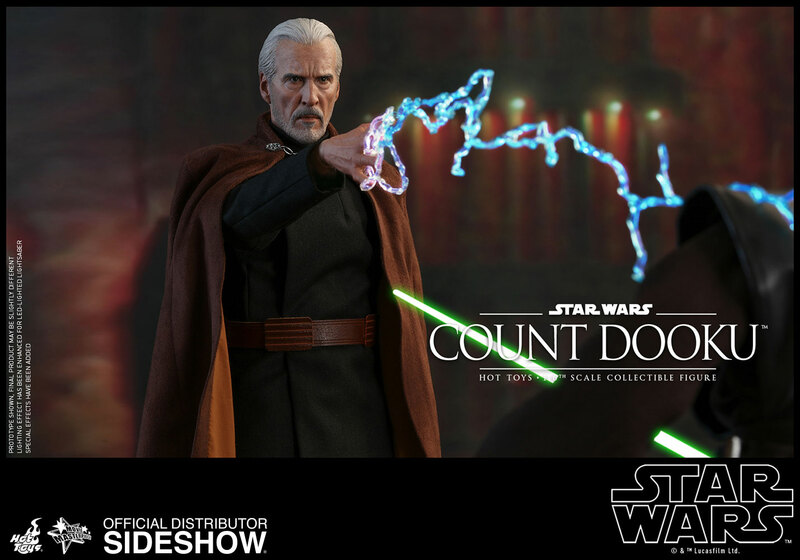 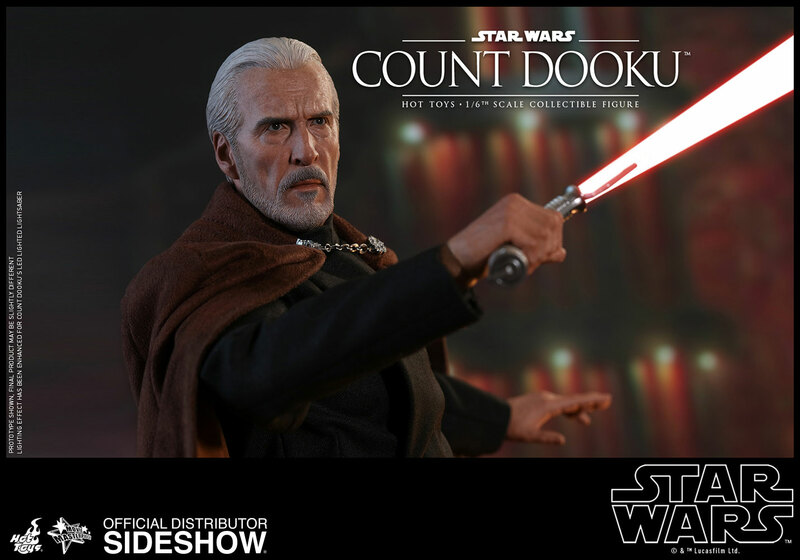 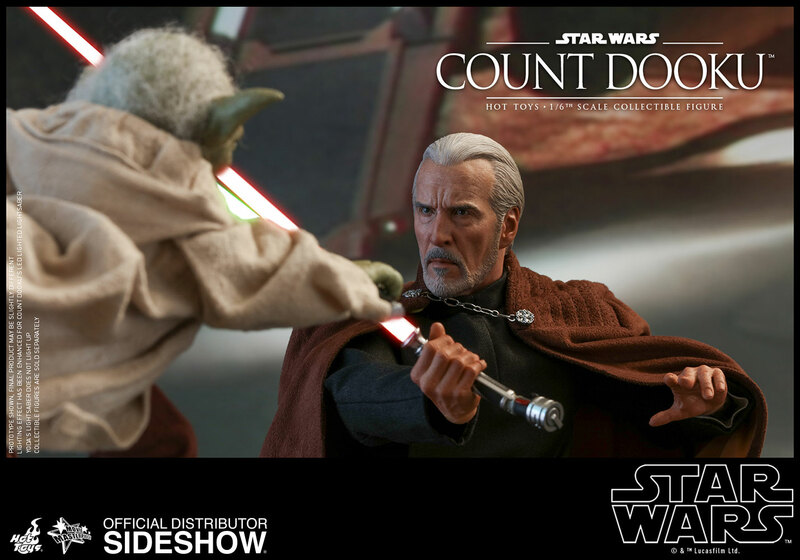 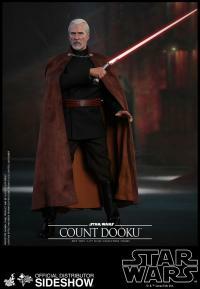 This dangerous Count Dooku collectible figure will surely be a phenomenal masterpiece to add to any Star Wars fan collection!